These light weight snake earrings are perfect to show your love of our amazing array of snakes here in The Land Down Under - Australia. 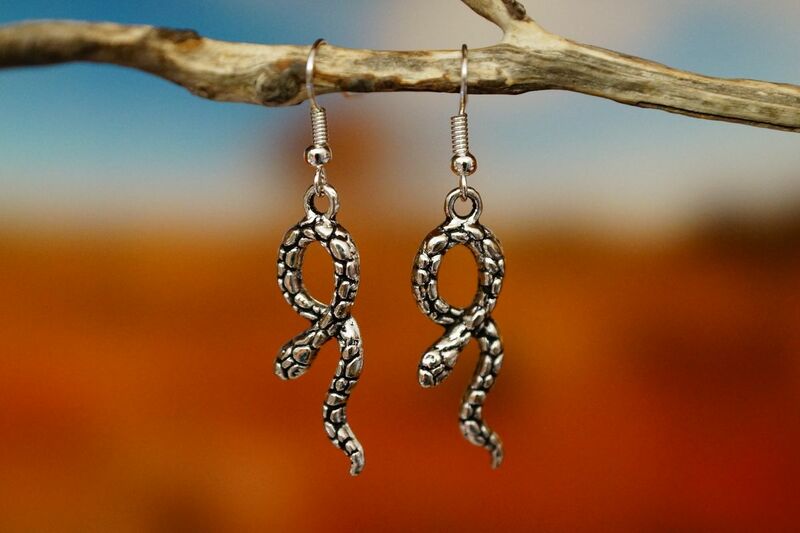 The snakes are made from Tibetan silver and made into earrings here in Australia. Australia has many different species of snakes that live in the trees, on land and in the oceans. There is over 140 species of land snakes and over 30 species of sea snakes and all are beautiful, sleek and slender and vary in sizes and colours.